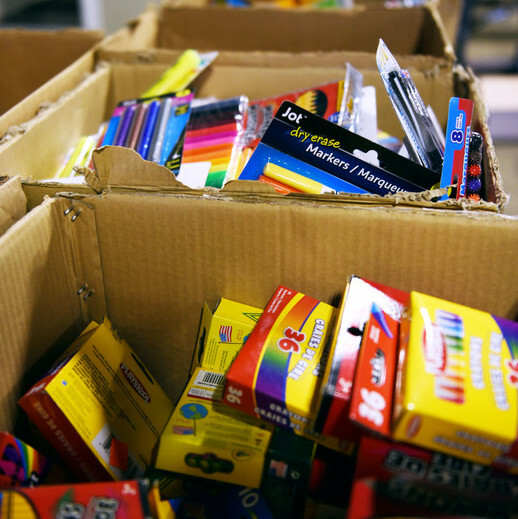 10 Steps to Host a Successful School Supply Drive! 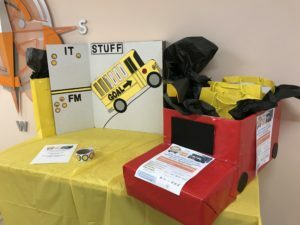 Host a school supply drive and help United Way of Salt Lake Stuff the Bus! We want to ensure that students enter the classroom in August with the tools they need to succeed. 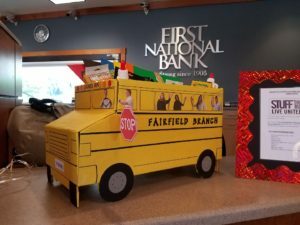 We’ve put together 10 steps for how to host a fun and creative school supply drive in your office, church, house, or pretty much anywhere else! Register your School Supply Drive here! Get your group excited and share why school supplies matter: When kids return to school in August, no matter how excited they are to learn, they need some basic supplies to thrive. Imagine English class without a pencil, or history without a highlighter, or science without a notebook to track your hypotheses. Providing basic school supplies to students who may not otherwise be able to afford them sets the groundwork for success and puts educational goals within reach. Set a goal: People are more motivated to give when you set a goal that is challenging but attainable. You can set a goal for your entire drive or set a goal for different teams or members of your organization or family. List your goal in terms of the number of kids your donation will serve. For example, your group could commit to donating school supplies for 50 students, which would cover two fifth grade classrooms at South Kearns Elementary. That would mean you need to collect 50 pencils, 50 pens, and so on. Send an email to alert others to participate: Here’s a draft. Post flyers: Here’s an editable PDF. Identify and decorate an area to place supplies and donations: Whether you have a designated table in the office or fully decorate a drop off bin, your group can make collecting school supplies fun and engaging for everyone. Check out the school bus themed drop off zones from last year here. Can you top these? Too much of a hassle? Host a virtual supply drive and we’ll do the shopping: Maybe you don’t have space in your office to store supplies or maybe you just don’t have the time to go school supply shopping. Don’t worry! You can host an online donation drive and have just as great an impact. Send out the link and ask people to donate online with the click of a button! Sign up here and donate through July 31. Incentivize: Motivate people with a little friendly competition. Whether it’s in the workplace and the prize is a little extra PTO, or at home and the winner gets to pick what’s for dinner, motivating people to participate can be a fun and effective way to bring in the school supplies. Drop the supplies off July 30 & 31: So, you’ve collected TONS of school supplies, now it’s time to drop them off at the Columbus Community Center on July 30 and 31. Beware, the GPS may lead you astray, so make sure to enter the exact address: 2531 South 400 East, South Salt Lake 84115, Room 106. Come watch your donations get stuffed into backpacks: Your group can volunteer on Saturday, August 4, and help bring your whole supply drive full circle. We put together more than 5,000 backpacks to be distributed across more than 30 schools. Over 12,000 students will receive new school supplies! Register here. If you have any questions about Stuff the Bus, contact me at courtneyd@uw.org!